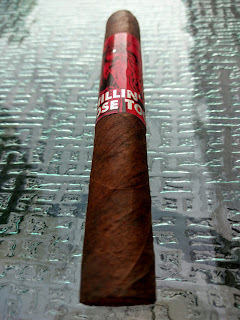 Background: Foundry Tobacco Company is one of those fun companies who is always doing something different. Their steampunk (and generally industrial) designs are unique and interesting, so you never quite know what to expect. This offering, The Chillin Moose Too, is the second iteration of their value based lines. The original used a Connecticut rodaso wrapper, whereas this has the broadleaf instead. The other big difference comes with the filler and binder – this is pure Nicaraguan for that portion… the original was a mic from Nicaragua, the Dominican Republic, the US, and even Mexico. So if you’ve had the original and figured this would be the same – you will be completely mistaken. Appearance (0-20): One of the first things that you’ll notice immediately with this stick is the bright red band. It sports a moose pulling a smoking rabbit out of a hat. 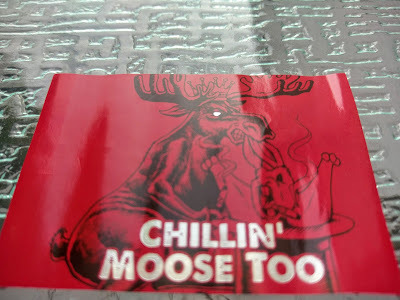 “Chillin’ Moose Too” is in silver across the label. It’s big, and it’s bold. 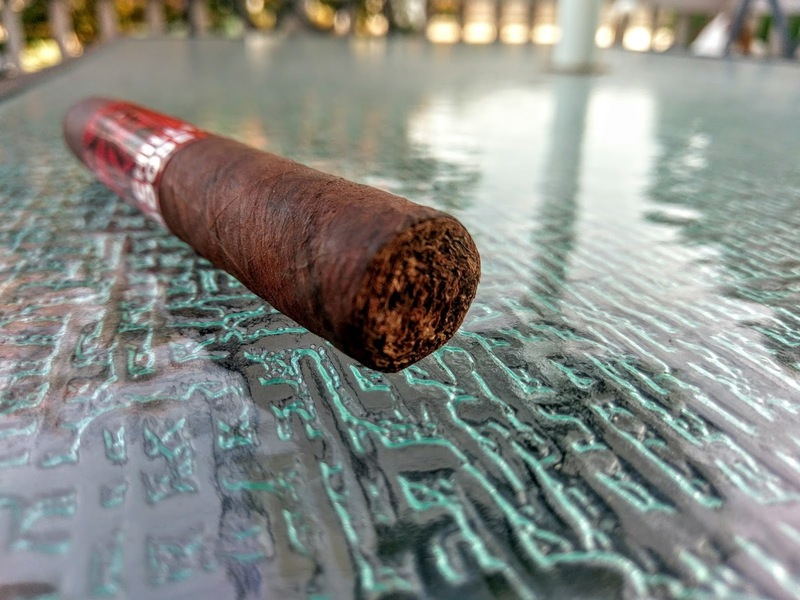 The cigar itself is rustic and slightly oily to the touch. The wrap is slightly rough, but overall it looks like a decent stick. Construction (0-20): The first feel on this and I can tell it’s pretty solid. There are no areas that feel improperly packed. 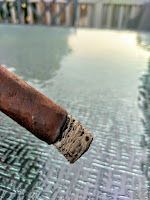 Along the stick, there are some minor veins and a small amount of rippling of the wrapper. It isn’t much, but it’s worth noting. The cut had a little more debris than I wanted, but on the upside the drawl was perfect. Post lighting, it ended up being slightly loose, but not terribly so. Strength (0-20): Medium – and I have to say it really does sit almost directly in the center of the range. Value (0-20): Honestly the Chillin Moose Too picks up some major points in this area since it is such a reasonably priced stick with solid flavors. Additional Notes: Paired with water. 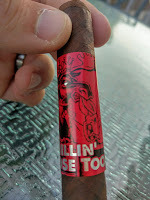 But honestly I should have taken the time to give this Cigar and Pairing Guide a whirl. I played around with it for a bit and there are some real comedic gems there. Give it a try! Overall (0-100): Let’s make this simple. This isn’t going to be the perfect cigar. It’s got some construction issues and the flavors are decent though not outstanding. It falls almost literally directly in the medium realm in terms of strength. So with all of the not so great portions, there’s a silver lining. This isn’t one that you are going to be upset about picking up – especially when the price creeps further and further down if you buy a box. 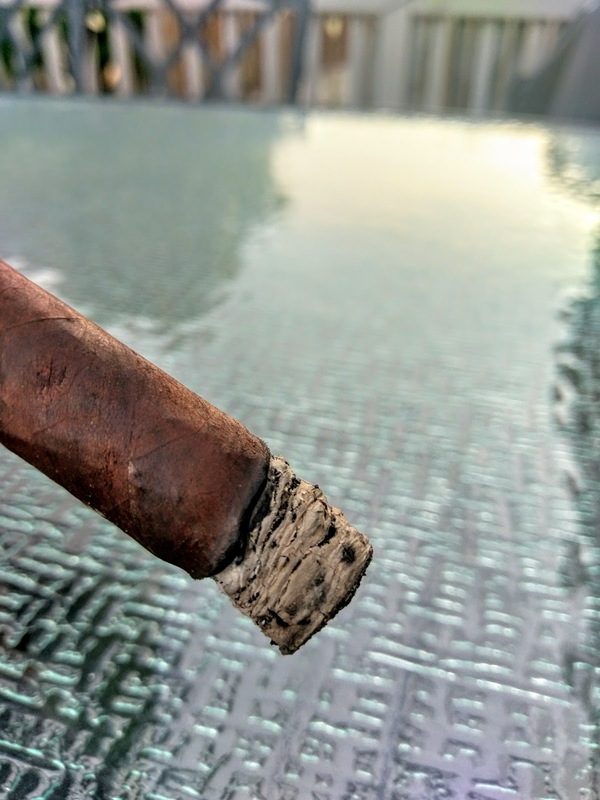 I personally see myself picking up some extra of these as a second cigar of the day or one to use when working out in the yard. It’s good enough quality that you won’t toss it halfway through, but cheap enough that you won’t care if you had to.